Developers Einbinder Joel and John Corbett announced an updated version of the software additions Multify, implements on the iPhone and iPad full multitasking. Now a multi-functional solution to jailbreak devices can use the owners of gadgets with iOS 8.3 and 8.4. In accordance with the concept of programmers, smartphones and tablets of Apple may display the multiple applications. If desired, the user can display the windows in additional tasks, such as Instagram and YouTube. You can read Twitter and simultaneously view the events in the calendar, surf the Internet and play Sudoku. There are lots of programs that users want to keep before the eyes of several open "windows" to perform tasks in parallel. The sizes of windows can be changed and moved around the screen on your own - to move up and down or removed from the screen. At the same time running the application will work, such as watching YouTube videos will not stop, you will hear a sound and be able to work with the music. It is possible at any time to switch from one window to another and get immediate response. 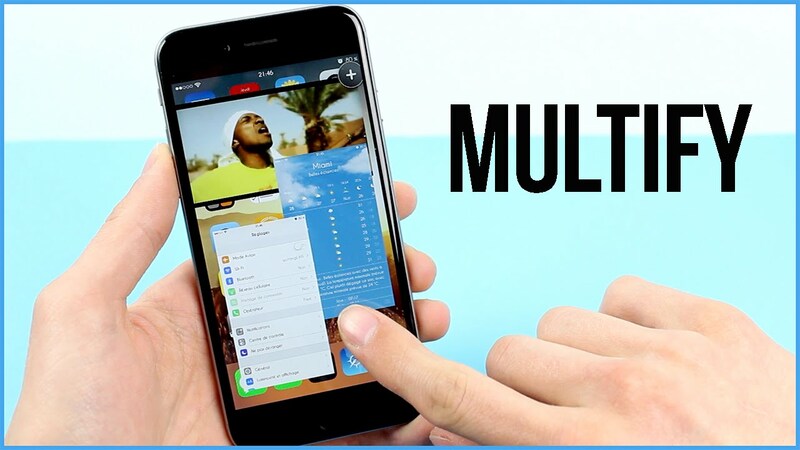 Multify came early this year for devices with iOS 8.1. With the release of the last update multi multitasking earned on the latest operating system and has received two new features: the window is now "stick" to the borders of the screen as you drag; there was a regime of free movement and zoom windows by moving to the line status iOS. 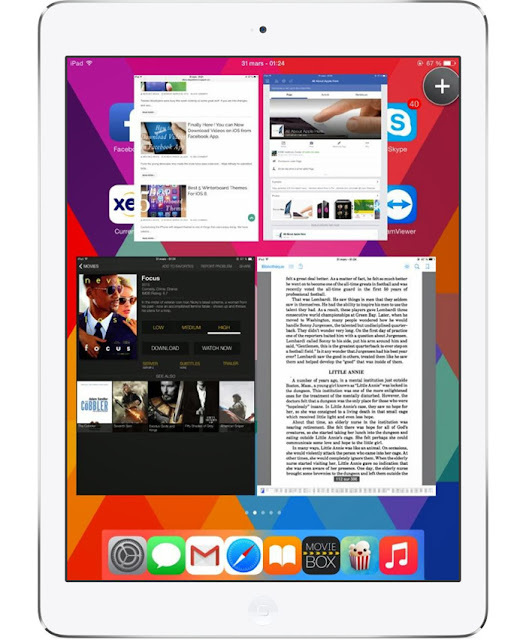 Rate concept multiscreen mode for iPhone and iPad you can own, setting the latest version from Cydia tweak. Development of BigBoss costs $ 5.